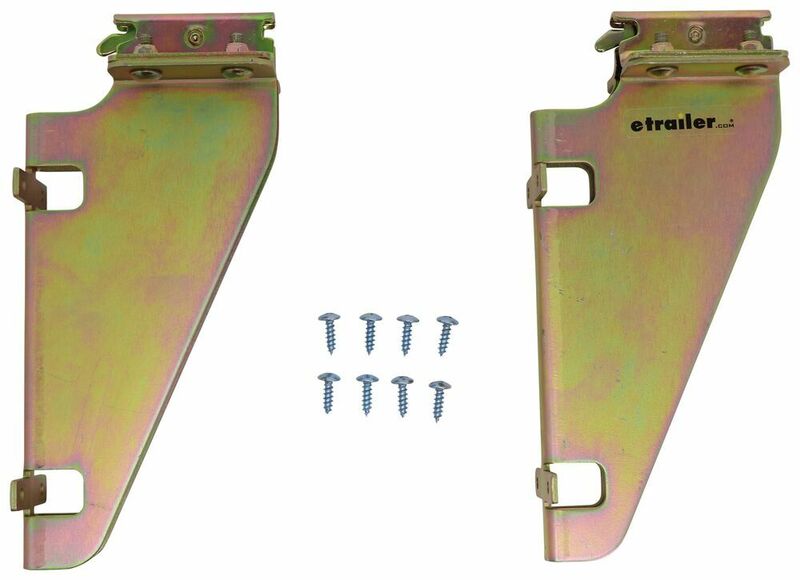 Call 800-298-8924 to order CargoSmart e track part number 3481726 or order online at etrailer.com. Free expert support on all CargoSmart products. 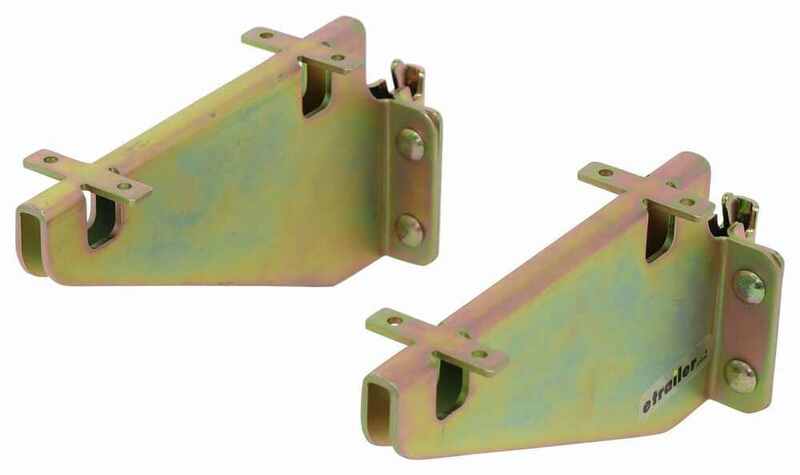 Guaranteed Lowest Price and Fastest Shipping for CargoSmart Shelf Track Brackets for E-Track or X-Track Systems - 12" Deep - Qty 2. 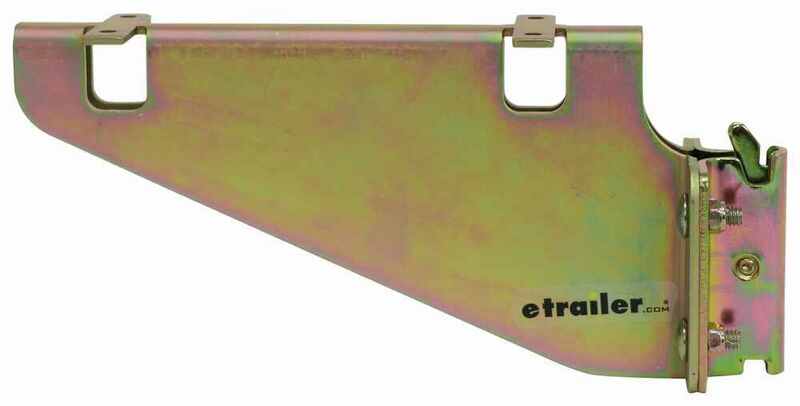 E Track reviews from real customers. 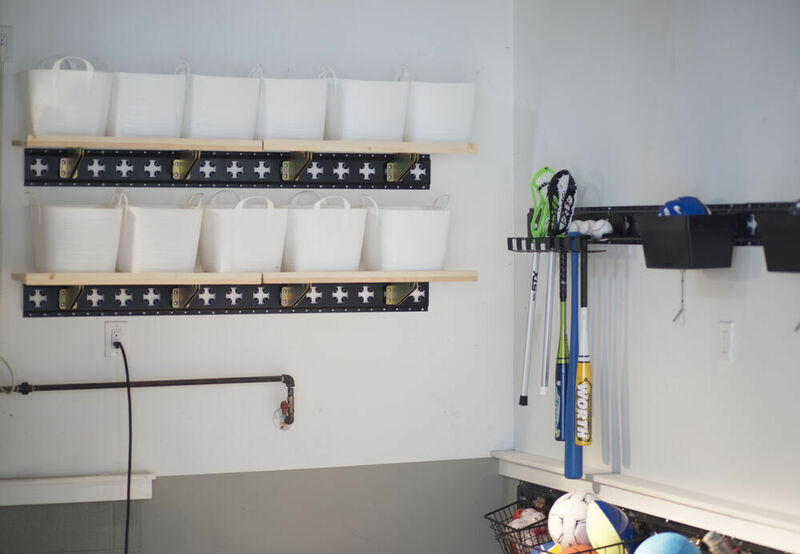 CargoSmart Wire Basket for E-Track and X-Track Systems - Steel - 18" x 20" x 12"
Speaker 1: Today we're taking a look at the Cargo Smart shelf track brackets for E track or X track system. Just a few things I want to point out to get started. 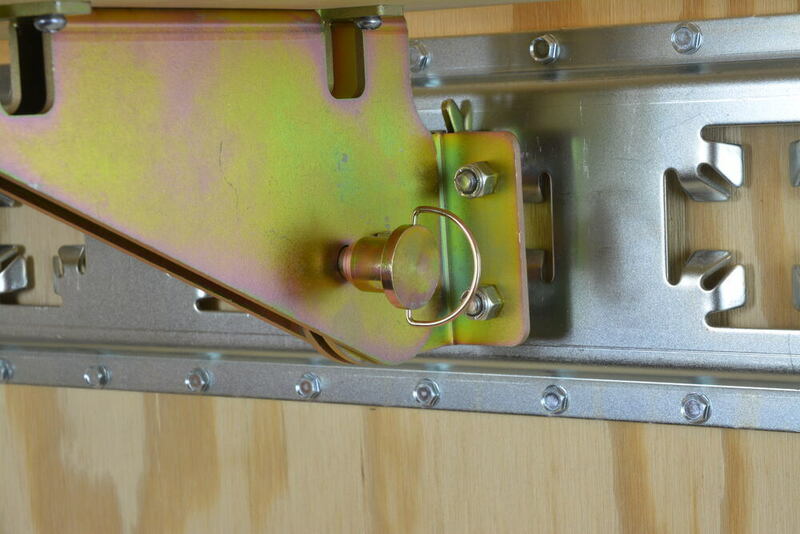 The tracking is not included so all you get with this part number is you get two brackets and you get mounting hardware for attaching a wood top to the brackets. Your wood and tracking are not included. I just have it on tracking for demonstration purposes. 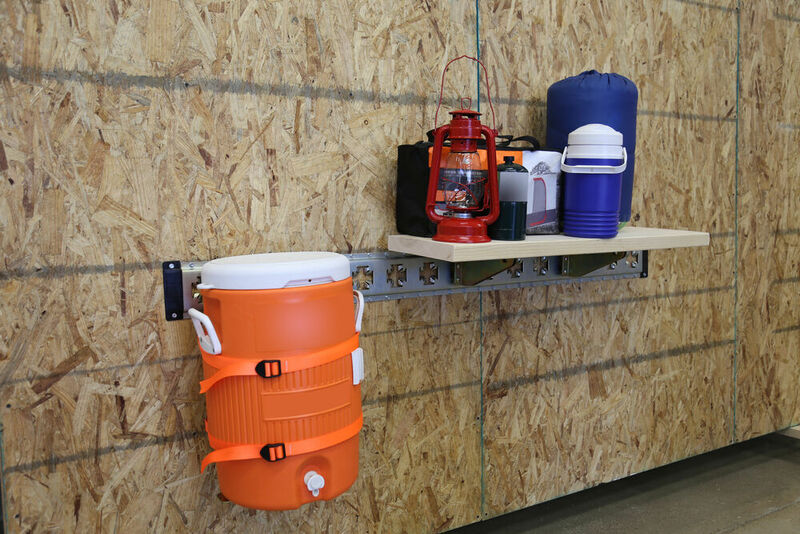 These brackets are designed to provide the attachment points for a board, that way you can add additional space to hold items on a shelf. 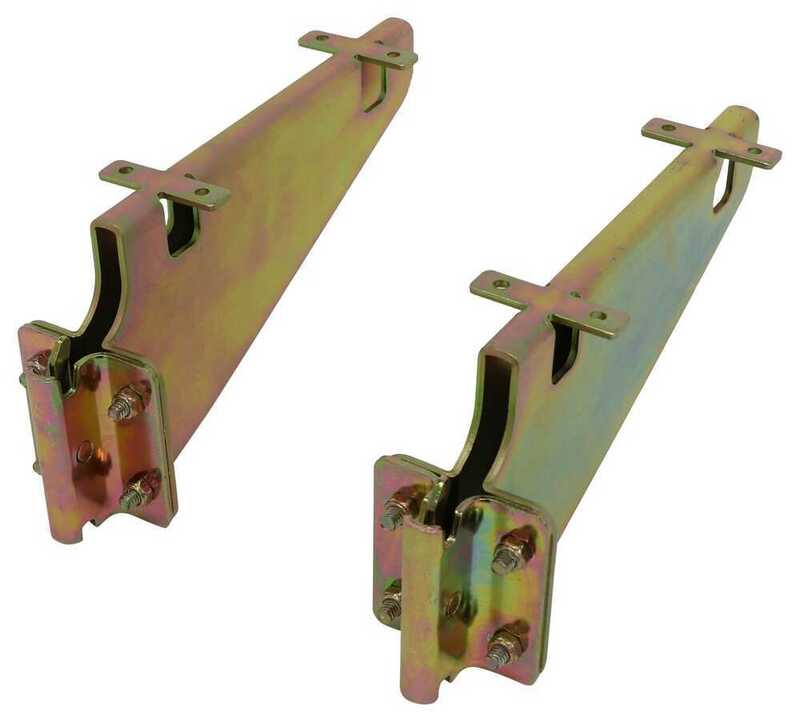 It's a solid steel construction with protective zinc finishing to resist rust and corrosion. 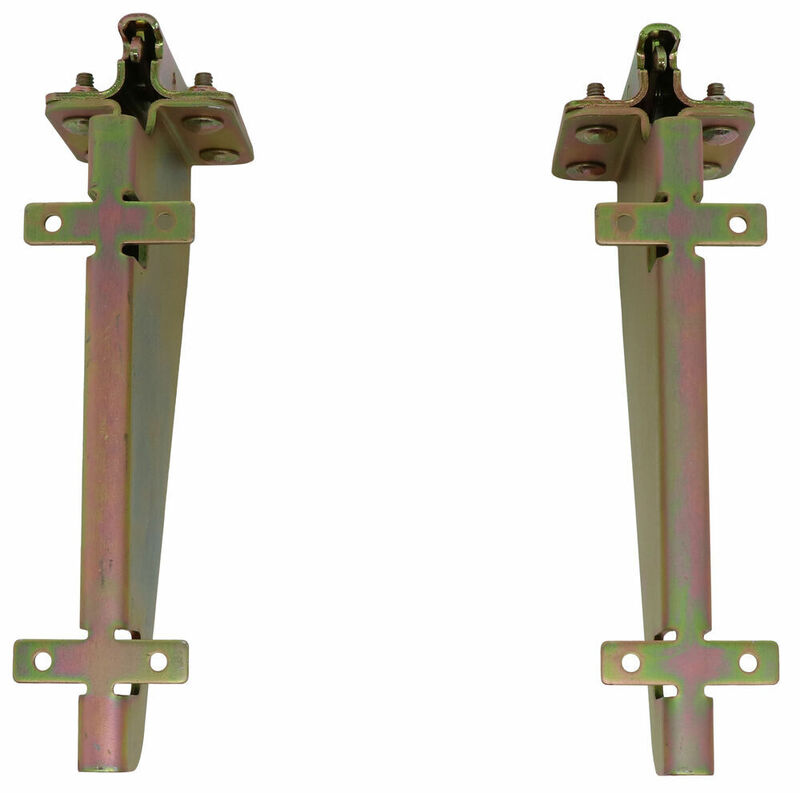 It's a quick and easy installation so we do have the spring loaded fittings here on the back of each bracket. 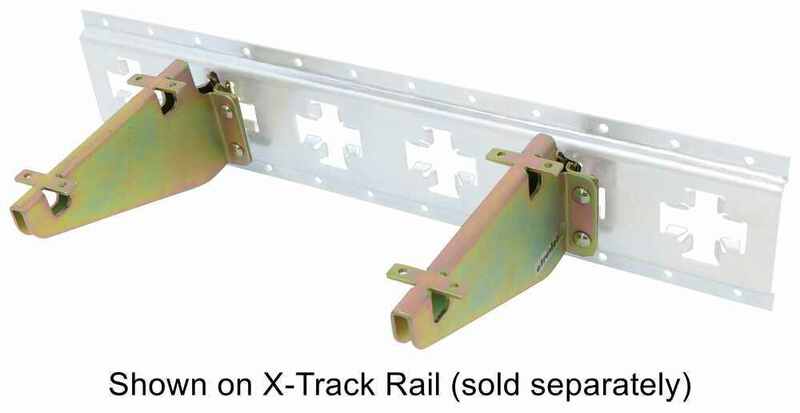 Connects to both X track and E track anchoring systems and they can be easily moved from one slot to another if needed.It works with 12 inch deep wood tops. 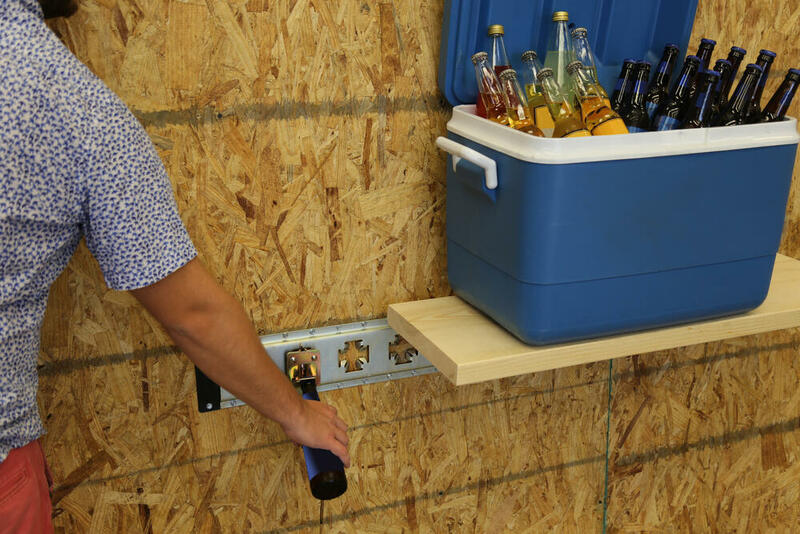 Wood not included and it does come with mounting hardware for attaching the wood board to the brackets. 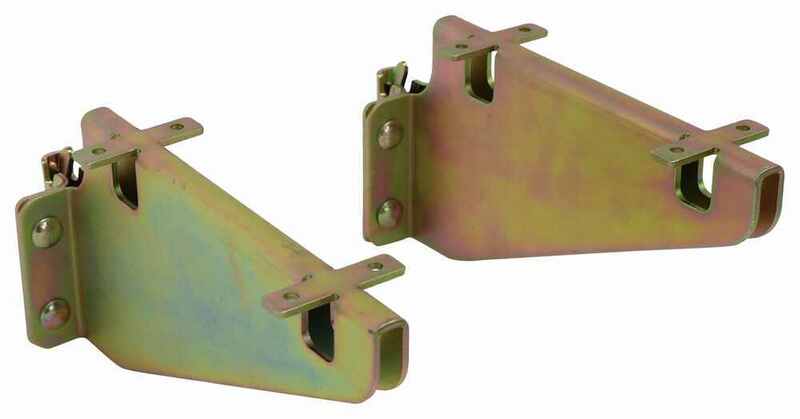 With this part number you'll get two brackets. I'm going to go ahead and take them off and go over some measurements with you real quick. I took a measurement from the housing right here to the outermost point. I'm measuring from this point here out to here. I got a measurement of about 8-1/8 inches. Measuring basically top to bottom is about 4-1/4. 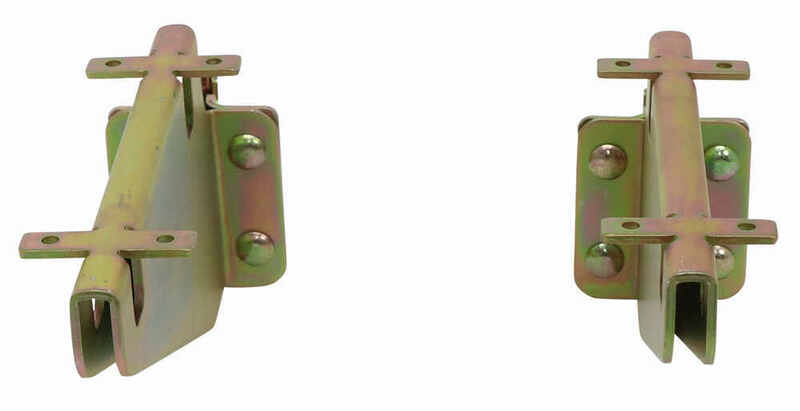 Then the mount holes on our bracket so side to side our holes are separated on center by 1-5/16 inches. From this hole to this hole on center it's 5-1/16 inches. 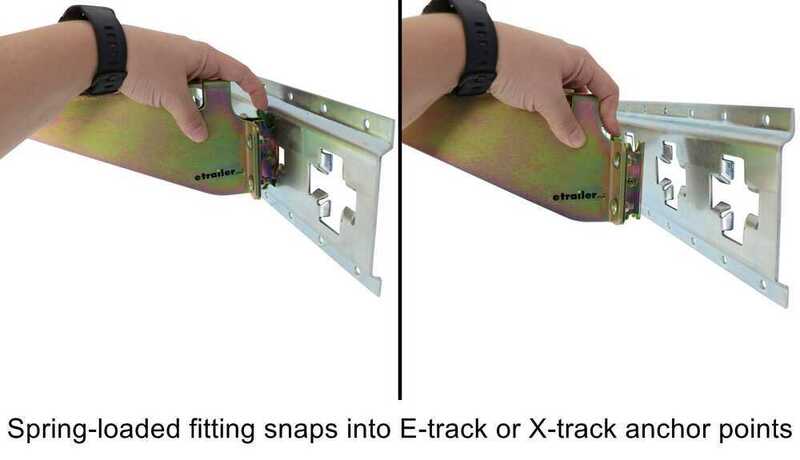 That's going to do it for today's look at the Cargo Smart shelf track brackets for E track or X track systems.